Ram Type: 1x72pin SIMM slot. EDO RAM can be used, although it's not taken advantage of. 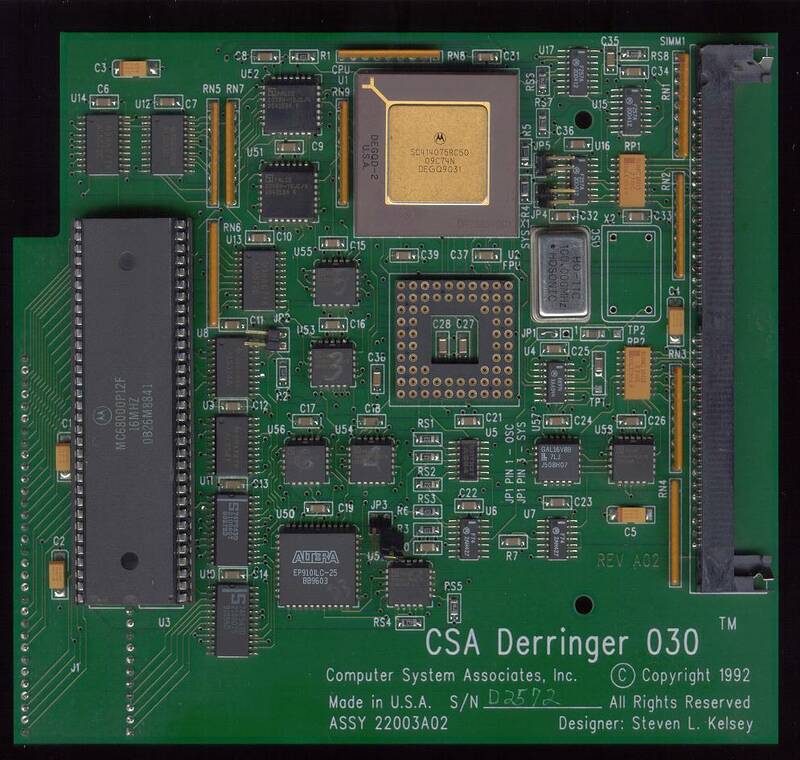 The Derringer plugs into the CPU socket of the A500 and A2000 and also works with the A1000 providing you have a socket extender to provide the board with enough clearance. 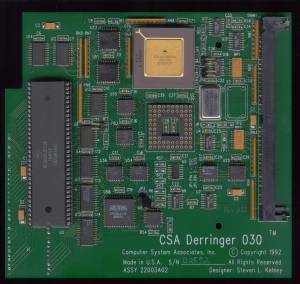 The 68000 is placed on board the Derringer which allows the machine to be switched back to 68000 mode for compatibility with old software. The card has support for copying the Kickstart into 32bit Fast RAM for an additional increase in peformance however this may not work correctly with newer versions of Kickstart such as V3.1. In order for the machine to see the RAM onboard the Derringer, a small command must be added to the startup-sequence, directly after the SetPatch command called D3. An earlier version of this card may have been released which used an 020 instead of an 030. JP2 OPEN, Use 68030 mode. CLOSED, Use 68000 mode. JP3 CLOSED, No 68000 installed on card OPEN, 68000 installed on card.